Automobile accidents, motorcycle accidents, truck accidents, bike accidents – they are all too common on the busy streets and freeways of Phoenix, Arizona. Auto accidents often result in minor, serious, or sometimes catastrophic injuries, even wrongful death. Because of the impact nature of motor vehicle accidents, the most common and often the most life changing types of injury include damage to the brain, spinal cord or amputation injuries. Sometimes motor vehicle accidents just happen; but often a car, truck or bike accident occurs because of driver negligence. Traffic jams, delays, road construction, light rail and over-crowded freeways all cause frustration in impatient drivers in metro Phoenix; that frustration can often lead to poor decision making, which can in turn lead to auto accidents. Sometimes a car accident may not be down to another driver’s negligent activity. Dangerous, poorly maintained roads or inadequately signed construction zones can also cause motor vehicle accidents. Poor road maintenance, damaged guardrails, potholes, slippery road surfaces, poorly marked intersections, even ‘Stop’ signs hidden by inadequately maintained trees and bushes can cause serious car accidents. Where there is negligence there is liability, and our team will find it. As recent stories in the news have shown, even defective automotive products can be at fault. In one case we handled, a 41-year-old man was severely burned after his vehicle collided with a 1979 GMC pickup truck; the impact caused the truck’s side saddle gas tank to explode. The case was settled, but the terms of settlement are confidential. If you’ve been injured in an auto accident the team at Cunningham Law can provide support, guidance and excellent legal counsel. We’ll explain your legal rights, and outline the legal remedies available to you as laid down by the Arizona Legislature. Been in a car accident in Phoenix Arizona? At Cunningham Law, we will work with you to obtain compensation for the damages arising from your accident. Damages could include, but are not limited to medical bills, damage to your car, loss in income or future income, compensation for any pain and suffering, and loss of enjoyment of life. Our accident law firm specializes in protecting the interests of those involved in car accidents, motorcycle accidents, and truck accidents. If you were a pedestrian or on a bicycle and were involved in an accident, we can help you recover damages too. Our car accident lawyers practice throughout the metro Phoenix area and across all of Arizona including Maricopa County, Yuma County, Phoenix, Mesa, Chandler, Glendale, Scottsdale, Tempe, Casa Grande, Tucson, Flagstaff, Prescott, Peoria and Yuma. Since 2000, we’ve obtained more than $185,000,000 compensation for our clients. We work on a contingency fee basis and that means that if we don’t win your case, you don’t owe us any fees. 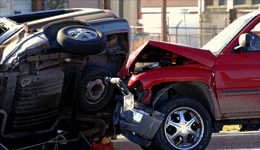 If you’ve been involved in a car accident in Phoenix, or anywhere in Arizona, call an experienced auto accident lawyer. At Cunningham Law, we protect your legal rights after an auto accident. Call 602-257-1750, or complete our contact form to arrange a free consultation. Se habla Español.